On Wednesday, the Cleveland Cavaliers went about sorting through a bunch of crap in an attempt to find LeBron James a reliable playmaker who can come off the bench. The tryout was attended by the likes of Lance Stephenson, Kirk Hinrich, and Mario Chalmers, but according to ESPN’s Dave McMenamin, the standout performer was Jordan Farmar. Aside from an impressive showing by Farmar on Wednesday, there was a practical side to Cleveland’s interest. 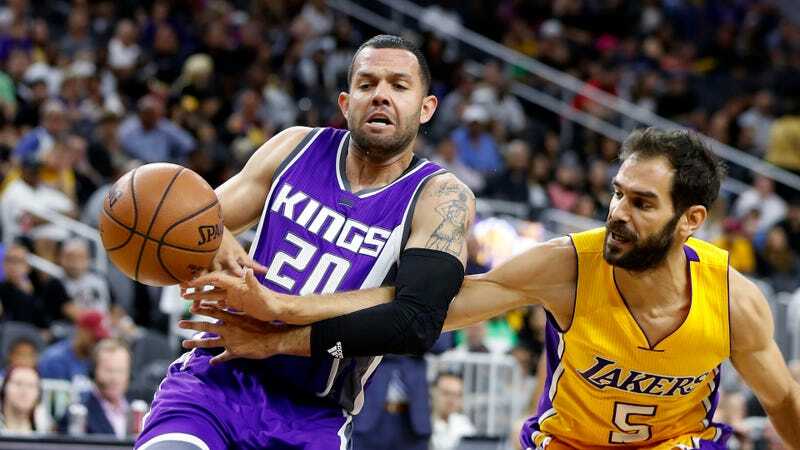 According to a source, Farmar is open to signing a 10-day contract — as is Lance Stephenson — while a league source told ESPN that both Mario Chalmers and Kirk Hinrich would only agree to join the team if the Cavs tendered a guaranteed contract for the rest of the season. This is fun, but the Cavs should really dispense with all this negotiating drama and just sign Chalmers to a guaranteed deal already. We all know LeBron won’t be truly happy until he has someone he can scream at again.